Just after SR 27, exit right to access US-1 south. 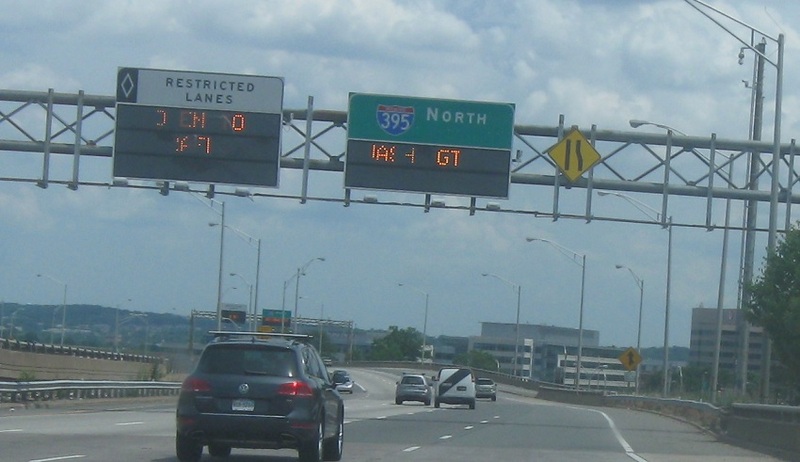 Just after that, VA 110 traffic merges onto I-395. 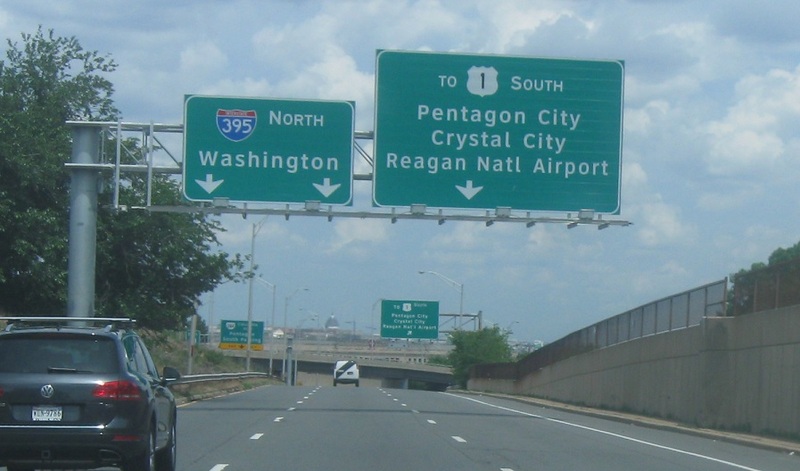 US-1 north joins I-395 north into Washington. There is no access from this part of 395 to VA 110.